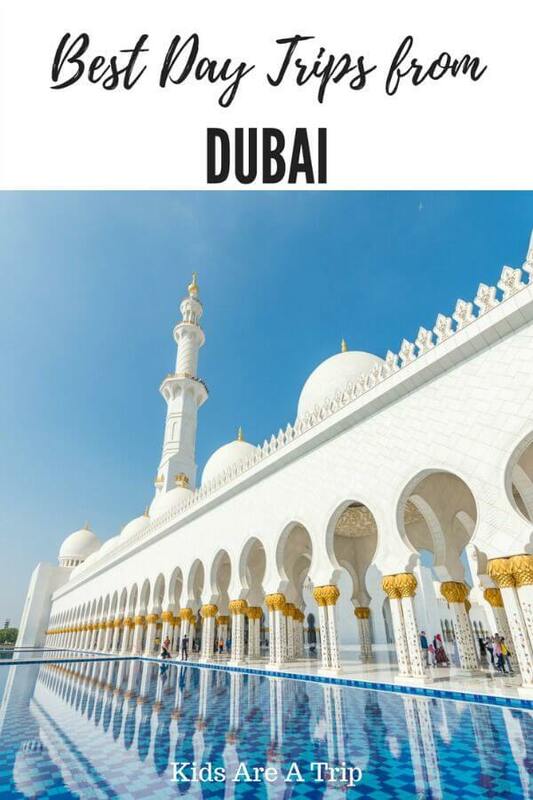 I’m thrilled to have Keri Hedrick from Our Globetrotters sharing this latest post about the best Dubai day trips with kids. Keri is an expat who lives in the UAE with her three children and is constantly exploring Abu Dhabi and the surrounding area. Without further ado, here are her recommendations for the best day trips from Dubai with kids. If you are considering heading to the Middle East, there’s a high likelihood your journey may start or end in the major airline hub Dubai, in the United Arab Emirates. Known for its glitz and glamour, there is easily enough to keep you entertained for a week just staying in Dubai, but I strongly recommend going beyond the bright lights of the city. Much of the natural beauty, culture and history lies well beyond the glittering malls, beaches, high rises and theme parks Dubai has to offer – but why not have the best of both world’s and stay in Dubai while enjoying day trips to the many of the country’s best locations? And if it’s your first time visiting the UAE, be sure to check out these 15 important facts before you go! The absolute number one is a day trip to UAE desert. Many companies operate morning, half day or evening trips into the desert. Choosing the right one all depends on how much of an adrenaline rush you are looking for, and what budget you are working with. Platinum Heritage Desert Safaris are a great option for those who want to appreciate the desert wildlife and flora. Their open top vintage Land Rovers drive through the Dubai Desert Conservation Reserve. Platinum Heritage also offer hot air ballooning packages for those who don’t mind an early start. This is simply a breath-taking way to experience the UAE that ends in a luxury breakfast spread in their Bedouin village. If you prefer a little more sporting action in the desert, join a traditional Dune Bashing expedition. An experienced Emirati driver navigates his way precariously through the dunes as he pushes his car to the limits to show you some thrills and spills before arriving at a Bedouin style desert camp. Yes, it’s all a little put on for the tourists but still an enjoyable experience. At the camp you can enjoy more sedate activities such as camel rides, henna painting, shisha smoking, enjoy traditional music, belly dancing (not traditional Bedouin culture! ), and market stalls. Some will offer additional adrenaline sports such as quad biking, fat cycles, and sandboarding. Most will offer the option to skip the dune bashing and head straight to the desert camp – you will need to sign disclaimer forms to do any of the action sports and children need to be out of booster seat height to participate (most recommend children be 6 years+ to dune bash). Most tours operate from early evening to avoid the heat of the day providing an opportunity to capture sunset in the desert. Tour lengths vary but expect at least a 6-8 hour experience with pick up from your hotel or a designated pick up point in the city. Many people often think Dubai is the capital of the UAE but it’s actually Abu Dhabi, approximately 100 miles to the east, that is the largest of the seven emirates and home to Sheikh Khalifa Bin Zayed, the nation’s leader. There’s a wonderful mix of classic and modern Arab architecture to be seen, and there’s a lot more greenery and slightly less frenetic pace than Dubai. To travel from Dubai to Abu Dhabi, consider taking a car or using public transportation or private bus service. Any of these will take one and a half to two hours of travel each way. One of the top places to visit in Abu Dhabi is the Sheikh Zayed Grand Mosque – the gateway to Abu Dhabi island. Built in honour of the country’s founding father and where he is now laid to rest, it is one of the most visually stunning buildings in the world. Entry is completely free and visitors can be provided a hooded abaya or kandura to rent if they are not sufficiently covered. Day trippers from Dubai tend to come by the bus load during the day so try and arrive for the opening at 9am. 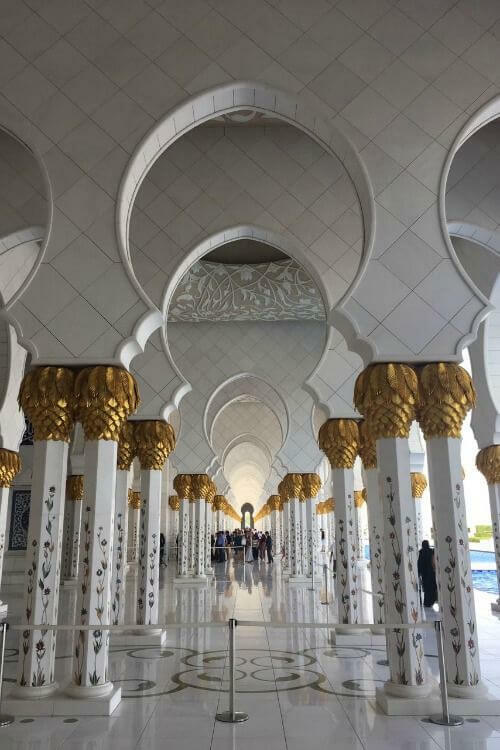 Even with the cool marble tiles it can be hot walking around the complex, but do take the time to explore the grounds and see the library and the Mausoleum. Alternatively, time your visit for sunset and stunning photographs. One of the other places to visit in Abu Dhabi is the newly opened Louvre, a new cultural centrepiece on nearby Saadiyat Island. (The city of Abu Dhabi is actually made up of a series of islands, though this can be hard to spot when you’re flying by on the city’s freeway network). The Louvre Abu Dhabi building is equally as impressive as the art works inside, and not nearly the queues and crowds you might see in Paris! If you have time, squeeze in a trip down the Corniche and drive past Emirates Palace – totally for the photo op! It’s a bit over priced to eat in at the Palace, but get yourself across the road to Observation 300 at Jumeirah Hotel, Etihad Towers. From here you will get some stunning city scape views to die for and a perfect bird’s eye view into the magnificent new Presidential Palace. On your way back to Dubai, make a stop at “The Last Exit” food trucks just over the Dubai border, well-acclaimed for having some amazing dishes for hungry drivers! The journey both ways is about 1.5 hours give or take traffic. 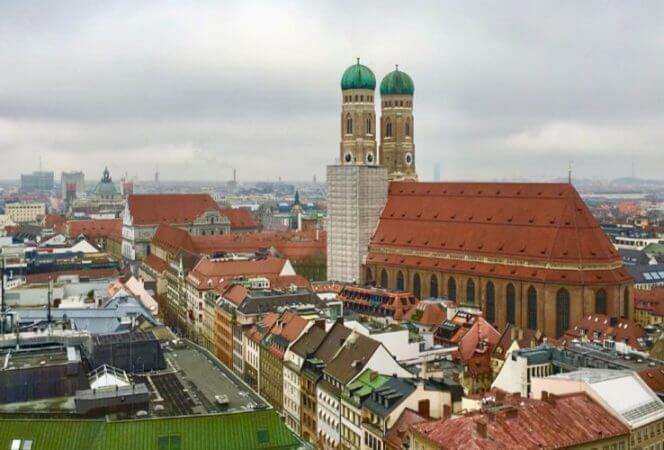 You can join an organized tour, or if you’re willing to take on the high-paced traffic and multilane freeways, hire a car and work at your own pace around the highlights. One hundred miles south from Dubai and deep into the desert you will find the lush oasis of Al Ain that sits on the UAE border with Oman. This is the original home of the Al Nayhan family, the rulers of the country, so as you can imagine the town has deep historical roots. Worth visiting are the Al Ain National Museum and the Al Ain Palace Museum (the former royal homestead). 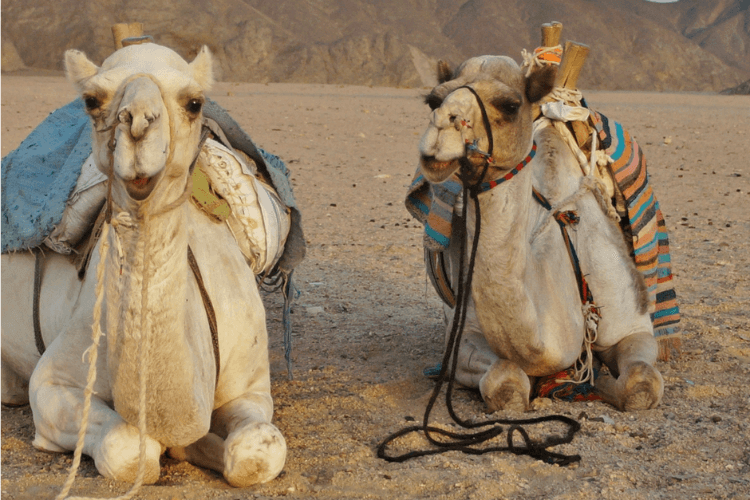 Both will give you a good insight into the countries past and Bedouin culture and tradition. 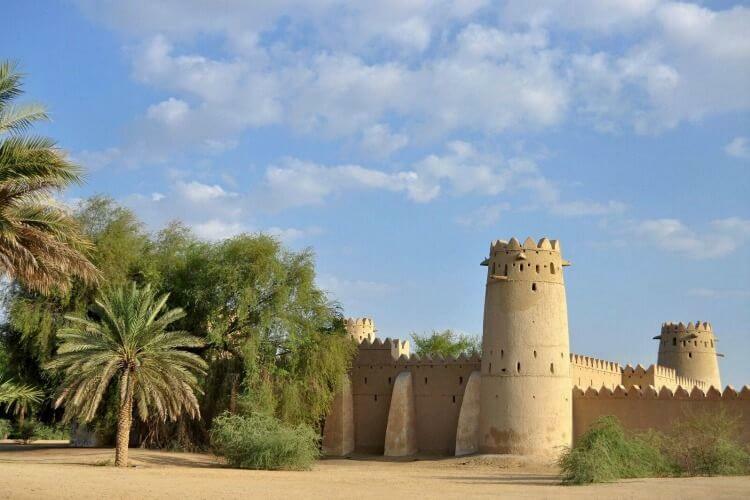 The Al Ain Oasis, a UNESCO site, can be a welcome retreat from the heat and Al Jahili fort is a must for history buffs. If time allows, the Al Ain Zoo is one of the best in the region displaying many native species and featuring an African safari trail. To finish off your Al Ain road trip, head to the mountain top of Jebel Hafeet. From here you will see wide spanning views to Oman. At the foot of the mountain, don’t miss Green Mubazzarah, an oasis with a natural spring – the water said to have healing powers (though when you see how many others have their feet in it, you may not be so keen to touch it!!). The journey both ways is about 1.5 hours give or take traffic but add 40 minutes for the steep drive up the mountain. Limited tours do operate from Dubai but we’re told their very rushed. This is one you’re better renting a car or hiring a driver for and working at your own pace. The Emirate of Ras al Khaimah – affectionately known as RAK – has made it clear they want to be known as the adventure Emirate of the UAE! Home to the UAE’s highest peak, Jebel Jais, this is home to the world’s longest zip line. Adrenaline junkies can speed along at 150km/hr 1680 meters above the ground and take in the spectacular, rugged Hajar Mountain views for over nearly 3 kilometers. You can learn more about Jebel Jais flight here. If that’s a little bit too much, (I’m going a little pale just thinking about it), then there are plenty of other outdoor adventures that can be enjoyed almost year-round. Horse riding and mountain biking are popular, as well as water sports on the expansive coast line to the Arabian Gulf. You can self-drive or take an organized tour that picks you up from your hotel. RAK is less than an hour west of Dubai, but if you are heading to the top of Jebel Jais you will need to allow 2 hours – as you can imagine it’s a long, winding road to the top. There are plenty of luxury resorts along the shores of RAK and man-made Marjan Island. If you have been to Dubai before, maybe try staying in RAK as a unique alternative beach or desert resort destination without the crowds of Dubai. If you think you’ve seen and done it all in Dubai, let’s get you well beyond the city, in fact, in to another country!!! Welcome to “the Norway of Arabia” – the fjords of Kumzar in the Musandam Peninsula. 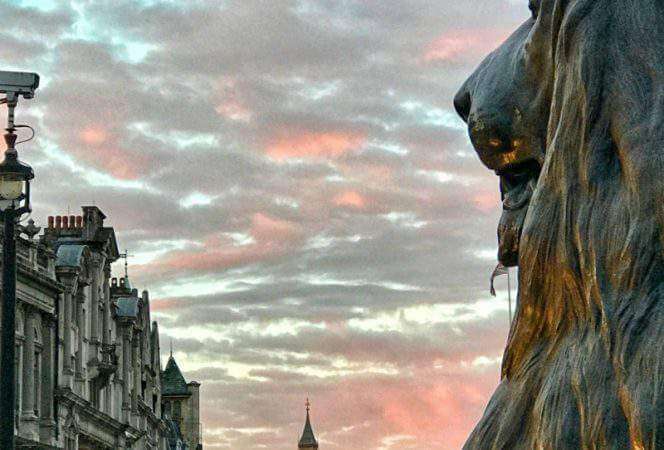 Set your alarm early and pack the passport if you want to do this one as a day trip. Your destination in this tiny Omani enclave is the regional capital Khasab that connects you to a harbor where boats set sail into the fjords. A dhow ride transports you to another world. 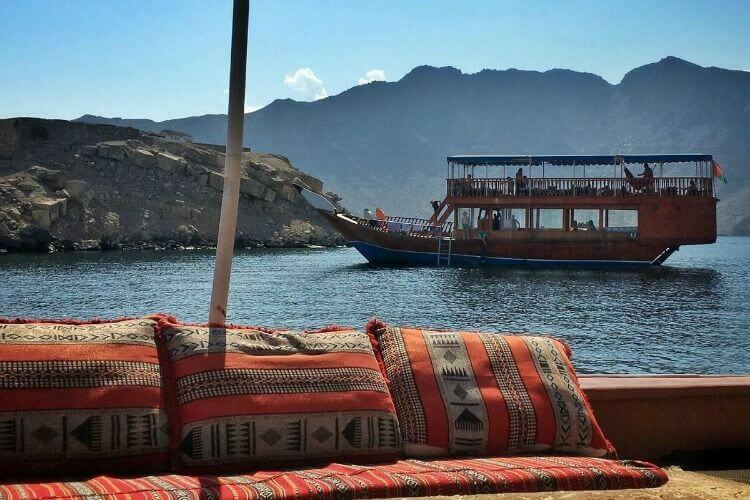 Once you are out on the water on a traditional dhow, you are transported to another world. The stark, raw beauty is completely engulfing. A popular attraction is the pods of dolphins that call the area home, you are almost guaranteed a spotting and they love coming out to play with the dhows. Water enthusiasts may want to take on some snorkeling or scuba diving or even hiking into the khors. You can expect the journey to take a bit over 2 hours in each direction but the border crossing can add 30 minutes to 1.5 hours each way depending when you cross (avoid evenings, and weekends Friday-Saturday when a lot of locals and expats alike use this opportunity to travel north too). The choices for family entertainment in Dubai are truly endless, but always spend at least one day getting beyond the city. If you’re looking for the best hotels in Dubai for families, we love this post from Luxe Recess. Looking for other amazing destinations? Check out our favorite family vacation destinations for 2018 and 2017. Keri Hedrick is a travel writer, blogger, business consultant and expat mum of 3 living in the UAE. With her family they explore the region extensively looking for new and exciting ways to enjoy their adopted home. She blogs about her family adventures near and far at Our Globetrotters and is the Founder & Editor of regional travel website Family Travel in the Middle East.